The relaxed dress code and atmosphere of the Geelong Golf Club attracts players of all abilities. Geelong Golf Club leads the way in contemporary golf. Its nine-hole layout offers shorter playing times and less physical exertion. Players can complete the course in 90 minutes – perfect for a quick nine before or after work. The relaxed dress code and atmosphere attracts players of all abilities, including low handicappers who enjoy the location and layout of the course, through to tradies who stop in on their way home. Members enjoy seven-days-a-week course accessibility, with mid-week and midday golfers especially enjoying no-wait times and the freedom to play at their leisure. 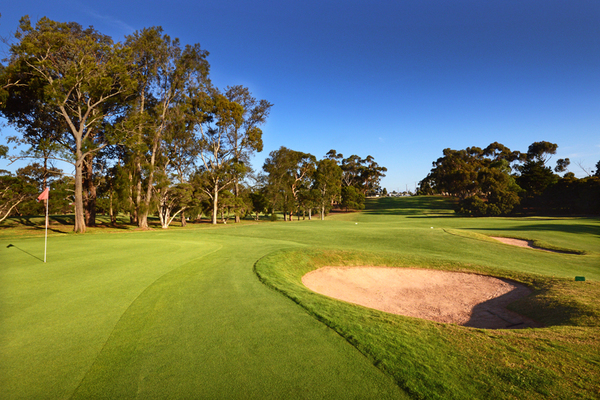 With a fleet of carts, an extensive practice area and membership from just $12.50 a week, Geelong Golf Club is ideal for all social golfers. Corporate and social golf days are also popular at the course. Guests can set out with a few beverages aboard their cart to play the course before enjoying a sumptuous barbecue upon their return to the beer garden. Golf lessons are also available. More information and is available by phoning 4210 1010 or visiting geelonggolf.com.au.